The Guild Library is a carefully curated collection of books relating to knitting. Our collection includes pattern books, stitch dictionaries, and books about techniques, ethnic knitting, fiber selection and even crocheting. Books may be borrowed by Guild members for one month. With our move to Temple Solel in September 2018, the Guild Library is no longer be available for browsing at the meeting. The Library remains intact, however, and is stored off-site at the home of one of our Librarians. Guild members may check out books and browse our Library on-line, and the Librarian will bring your book requests to the monthly Guild meetings. There are two ways to browse and borrow on your computer, phone and tablet. 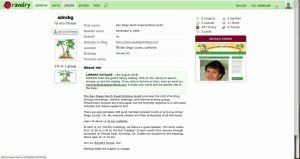 Browsing on Ravelry is recommended because you can look inside most books to view the Table of Contents, lists of patterns, and selected pages. The Ravelry listing is the most up-to-date. You must have your own Ravelry account to use this method. Ravelry Method: Click here or on the image to go directly to browsing the Guild library. 1. In People, search for SDNCKG. 2. Click on sdnckg to open SDNCKG’s page. This is not the Guild’s Ravelry group. 3. Click on the Library to browse the catalog. Sort it by author, title or date published. 1. Click to view a list of books Sorted by Author (pdf) or Sorted By Title (pdf) or in Excel. 2. Email the librarians at Librarian@SanDiegoKnitters.com to borrow a book. Your requests will be brought to the next meeting. Be sure to include your name, full name of requested book, and author’s name. Many knitting books have similar titles so be specific. Guild Librarian Scarrain Gomes, seated. We have built our library through donations and specific purchases. 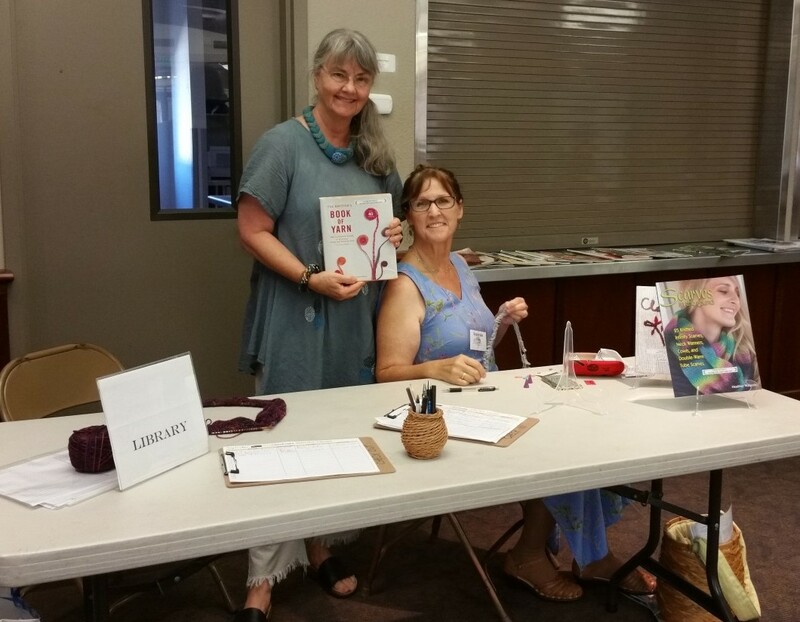 If you would like to recommend a title for our library or have a donation to make, contact Librarian Scarrain Gomes at Librarian@sandiegoknitters.com.